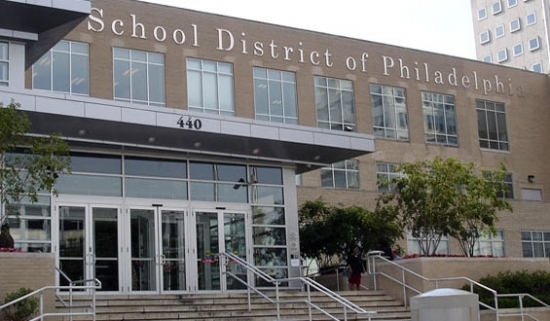 All School District of Philadelphia schools will close early on Tuesday, June 16th at 12 p.m. dur to the forecast of high temperatures. The district says that any schools that have a scheduled graduation ceremony for Tuesday have the option to remain open for the ceremonies. Parents should contact their school directly to confirm any graduation schedules. School District updates are posted on the website www.philasd.org and on the District's Information Hotline at 215-400-INFO (4636). Three men have been captured and a fourth is on the loose after a home invasion in Marple Township, Delaware County this afternoon. A 45-year-old woman and her 17-year-old son were inside their Broomall home on the 2600 block of Old Cedar Grove Road. Shortly after 1 p.m. the boy opened the front door and several men rushed in, pistol-whipped the teen, and demanded that they open the safe. They boy and his mother opened the safe and the men fled with cash and jewelry. Police caught up to the burglars' silver sedan. Once they stopped, the men fled on foot. Police caught three of the four men, recovered the stolen goods, and found a gun. Authorities believe the house was specifically targeted because the family owns a bar. A Hatboro, Montgomery County, man who confessed to sending his ex-girlfriend's new romantic interest a birthday card containing the deadly poison ricin was sentenced today in a Bucks County court. 20-year-old Nicholas Helman was sentenced to 20-40 years in state prison. Last November, he pled guilty to attempted murder, attempted aggravated assault, risking a catastrophe and other crimes for the March 2014 incident. He sent a scratch and sniff card to the romantic rival's house in Warminster. Police discovered ricin when they searched the home Helman shared with his mother on Byberry Road in Hatboro. While incarcerated he also threatened the prosecutor, witnesses, and detective on the case and faced charges of solicitation of murder and terroristic threats. Mostly Cloudy, Chance of thunderstorms later, temperatures in the mid 80's this evening in Center City.